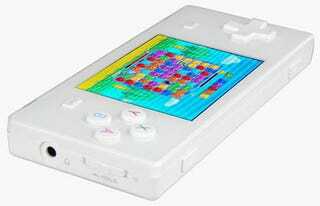 No DS Lite for my kids—they're getting this Chinavasion emulator handheld console so that they can experience the NES, SNES, Genesis, Game Boy Advance and Neo Geo just like their father did. The 2.8-inch QVGA screen may be quite tiny to read the entirety of Final Fantasy IV on, but they're going to be doing it in the back of a moving car. That helps, right?